Its easy to make and goes well with rice and Indian breads.U can make this a gravy by adding 1 cup coconutmilk to the done fry and cook this for 5-6 mins till done.U can do this without onion and tomato .Try this at home and enjoy!. Make fine cuts on boiled and shells removed eggs. 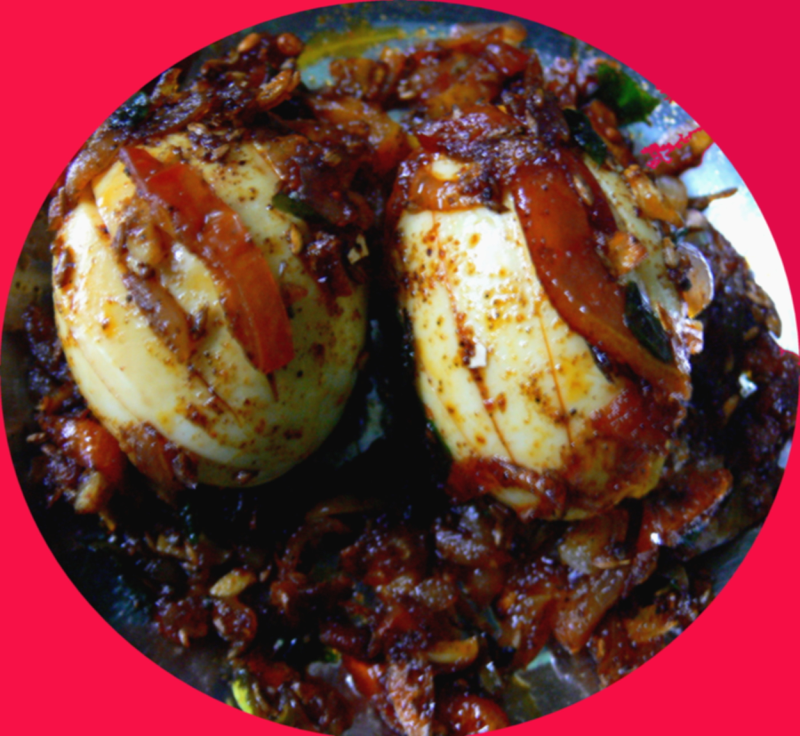 Heat oil in kadai and fry the eggs for a min on all sides. Add all the spices,grated onion,grated tomato,soy sauce,curry leaves,coriander leaves and salt.Cook till the masala is done. Add 50ml water now and cook till water runs dry. Serve this with lemon wedges and rice. Lovely egg fry . Gonna giv it a try today . Hi Rajesh!.Thank u so much for ur feedback. I'm very sure it'll taste really good..
Hi Rashmi!Thanks a lot for ur encouraging feedback.I luv ur recipes too. seems really yummy... m gonna try it today only.. this is one of ur many recipes which suits north indian taste..